Short Product Description: This is a generous 5 oz bar made with Fresh Goats Milk and coconut milk. Topped with mini rose buds, Jasmine flowers and a little glitter on top. 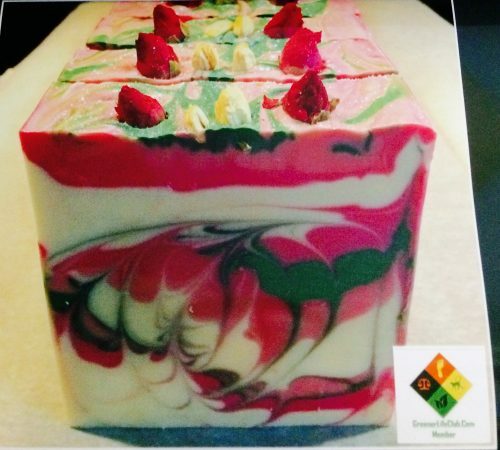 Cold Process soap made with love. Generous 5 oz bar of Cold Process Fresh Goats Milk Soap with added Coconut milk make the Jasmine & Rose Soap very creamy and bubbly. Topped with real mini rose buds, Jasmine flowers and a little glitter. It’s scented with a Flowery Fragrance oil combination of Rose, Jasmine, Violet, with hints of Honeysuckle and has a light powdery scent. 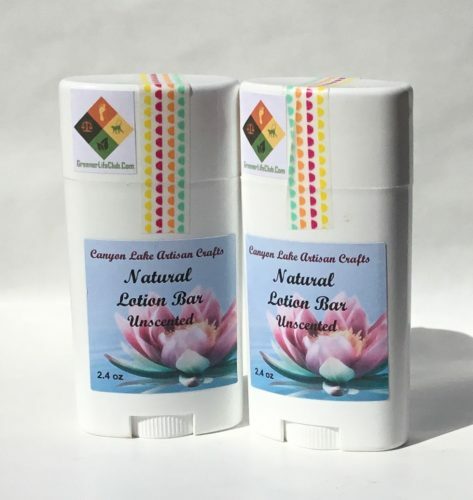 Ingredients include- Coconut oil, Olive Oil, Palm Oil, Canola Oil, Shea Butter, Fresh Goats Milk, Sweet Almond oil, Coconut Milk, Castor oil, Fragrance oil, Vitamin E oil, sodium lactate, Tussah Silk, Mica colorant, Titanium Dioxide, skin safe glitter.